What is a legacy? It is the memory of what someone is best known for — what they leave behind once they are gone. We are all familiar with the legacies of some famous people. Columbus discovered America. Thomas Jefferson purchased Louisiana from Napoleon. George Washington was the first President of the USA, etc. Think about this: What do you want your legacy to be? Perhaps you have not thought of this concept seriously. But we in God’s church were called for a purpose. Some questions have come up, and continue to come up that are able to have an effect on our legacy: Has the gospel been preached in its entirety? Is the gospel to be preached at this time? Will the gospel yet be preached? There are those who contend that the gospel of the soon coming Kingdom of God was preached and completed in the last century. There are others who assert that the gospel should be preached at this time. And, there are those who state that the gospel will continue to be proclaimed until Jesus Christ returns. Let’s delve into the Scriptures and try to ascertain what the word of God says concerning this matter. These are important questions to be answered because it helps us answer another question: What should we be doing? In other words, has someone else completed the required preaching of the gospel message, or does there remain the essential obligation for us to continue being a witness to the world? Why is the gospel to be preached—what does Jesus say the reason is? Our life is meant to be a witness for Jesus Christ. With the Church brethren so widely scattered and confused, it would be easy to fall into the trap of saying, “What can we do, we are too small and too weak?” Let’s not forget that this is not our work to do, but the work of God that He is getting done through us. What is our part in that work of God? How can we help others believe in Jesus Christ and His gospel? This is a most important question. We have not been called just so that we can be saved at this time. Were that the case, God would have waited and called us when He calls everyone else – later. No, we are being called at this moment to fulfill a very specific function. We can review the lives of many saints and prophets from the past and learn why they were called. All we have to do is look at their legacy as revealed in the Bible. Every one of them was called for a purpose, and we are no different. What is it that God wants us to do? What is it that God wants us to accomplish? In other words, what will our legacy be when all is said and done? Let's take a look at a brief list of legacies of some of the well known people of God. Noah’s legacy was building the ark and saving mankind from the flood. Queen Esther’s legacy was to stand up in the court of King Ahasuerus and save the Jewish people. Moses' own personal legacy was choosing rather to suffer affliction with the people of God, than to enjoy the pleasures of Egypt/ sin for a season; and yes, he led the children of Israel out of Egypt. Abraham’s legacy was to obey God’s commandments, statutes, laws, and receive the covenant promise. Everyone God has called has been used for very specific purposes – and we, brethren, are no exception. For many early saints, like Stephen, their legacy was martyrdom. Brethren, what will you be known for? Or better yet, for what purpose has God called you to salvation and glory at this particular time? 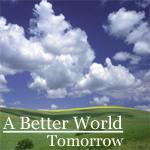 Will the earth be a better place because of your having been here? God is not calling everyone now — why has He called you? By the end of today's sermon I hope you will have some insight as to why your life is important to Jesus Christ right now. Perhaps you will be able to answer the question, "My legacy is to (fill in the blank) ." The great majority of us will not leave a legacy of money, property or power. Jesus did not leave that type of legacy. There are many more important ways to leave our legacy. What is the purpose of our life? I sometimes get the feeling that too many people in the overall Church of God think like this in these last days: "I've found the right church – I'm a member of the church - all I have to do is kick back and cruise into the Kingdom of God." The gospel is still being preached and lived by everyone who is led by God’s Holy Spirit. The gospel message is not passive – but active. We cannot be on cruise control. We each have a gospel to preach. Picturing and verbalizing our potential legacy has a huge effect on our motivation to achieve something distinctive with our lives. Some people feel worthless or useless. We are all called for a very specific purpose. What is the purpose of the life God has given you? The preaching and witnessing of the gospel will go on right up until the first resurrection. There is ample room for each of us to write our own legacy.